Magic Knight Rayearth is an action/adventure based on a popular manga and anime series of the same name. Come to the Sega Saturn where we get going back down the Working Designs road! Working Designs and Sega had quite a close relationship at first. Sega could make some money by licensing the rights to a game out to Working Designs that they themselves did not want to localize and release. Looking at the lineup of Working Designs Saturn games a staggering 4 of their 6 games for the Saturn were actually developed by Sega (5 if you count Camelot’s Shining Wisdom since the company was founded by Sega, but they had broken away from them the same year it was released in Japan) including our game this week. 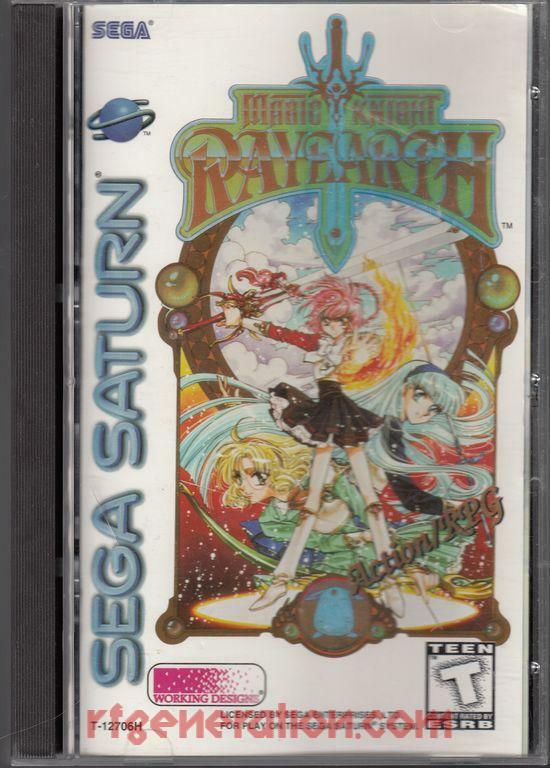 Magic Knight Rayearth was first released in Japan in 1995, but did not make it to North America until late 1998. 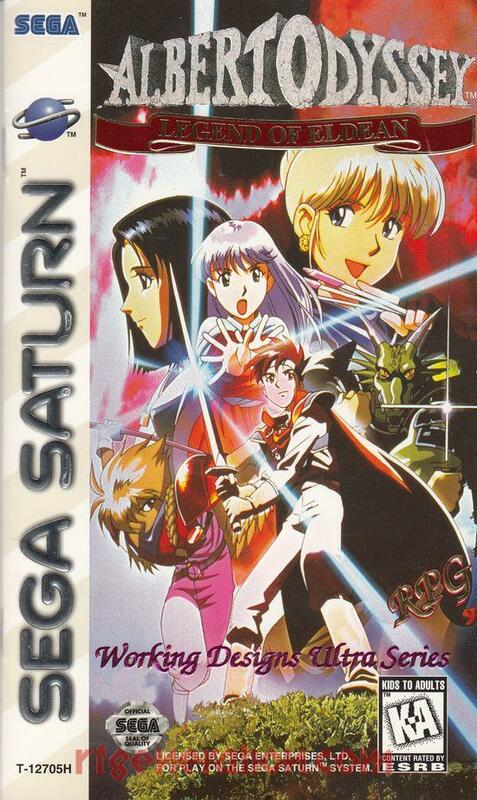 In fact this is the very last Saturn game released in North America. What was the cause of this delay? In the manual Working Designs simply states that it took 30 months to fix everything that they wanted to or could fix. Well, that story actually goes back to around 1995 when Working Designs was interested in working with Sony. Bernie Stolar did not like the company or its president Victor Ireland, and quickly shot them down for the rights to Arc the Lad. When Stolar moved from Sony to Sega Working Designs was quick to move back to Sony, since their relationship with Sega soured very quickly. I don’t think they took three years messing around with an already finished game for no reason. Stolar was well known for his dislike of RPGs, especially at Working Designs. Nevertheless, the game was released and sits as a curiousity for a company known for putting as much work into packaging as their actual games. As a result of this nearly three year delay between releases Rayearth was not reviewed well when it launched. Many criticized the graphics as being akin to an early Saturn 2D game (it was), and the game’s release window (months after the other final Saturn stragglers). But, does this mean the game itself is not worth anybody’s time, or is it just a case of bad timing mixed with a sour relationship? I previously reviewed Sunsoft’s Albert Odyssey: Legend of Eldean from Working Designs where I praised that game’s voice work. Rayearth has much more voice acting in it, and its all top notch quality that other companies should take some lessons from to this day. Each of the three main heroines keeps a diary of events as you progress through the game. Most of these are multiple sentences and are fully voiced. Cutscenes are fully voiced as well. There are hundreds of lines of spoken dialogue for the major characters, and you can hear how well directed the actors and actresses were, as well as the quality of Working Designs’ recording studio. Sega America could have taken some pointers from these guys. Now let’s dig into the meat of this game. As an action-RPG combat takes place in real time. It takes quite some time for the game to really ramp itself though. There are three playable characters, Hikaru, Umi, and Fuu. Hikaru and Umi use short range swords while Fuu uses a bow. Fuu’s charged attack homes in on enemies, making her by far the most useful character. About the only time you’ll switch characters is to use magic to progress, or blast the boss with your strongest spells until they’re out of MP. Then you’ll just switch to Fuu, run in circles, and use her charged attack until the boss is dead. Its not a deep combat system. The progression system is mostly related to the the Zelda system. Your heroines get better armor, weapon upgrades, and spells by getting to certain parts of the game, and not by spending a lot of money. Money in this game are gems, and they’re actually quite hard to come by. Most enemies will not drop much, most of these gems come from treasure finds. The story is about a kidnapped princess who summons a few Magic Knights from another world to save her own from being swallowed in darkness. So the world of Cefiro is being taken over by dark forces and starts coming apart at the seams as a result of the princess’ lack of protecting prayers. Our three heroines have been prophesized in this world’s mythology for eons, but these Magic Knights were always assumed to be male. This type of gender identity and societal roles plays a crucial part of the story. Almost everybody is surprised that the Magic Knights are a trio of fourteen year old girls in short skirts. This story does take quite a few twists and turns despite using this rather simple and trite formula. In the end I felt like the game was a mediocre Zelda clone. Even though it had some nice twists and turns and the game actually functions quite well it just does not stand out too much other than being a Working Designs game. There are a few places in the game where the frame rate plummets and the game almost grinds to a halt. Thankfully these places are not in the middle of a dungeon where you’re surrounded by enemies, but they really stand out and show poor optimization on Sega’s original team. I enjoyed the game overall but there was a distinct lack of polish in places and it was just too easy for my tastes. Given its price tag I would say pass on this unless you must find and own every Working Designs release or every Saturn game. Albert Odyssey is one of those pesky Working Designs games for the Sega Saturn. It is a classical styled turn based RPG which is actually a departure from earlier titles in the series. The Albert Odyssey series started on the Super Famicom, developed and published by NES favorite Sunsoft. These are tactical, strategic RPGs in the vein of Fire Emblem and Ogre Battle mostly. There was also a sequel made for the Super Famicom, but both of these were never released outside of Japan. 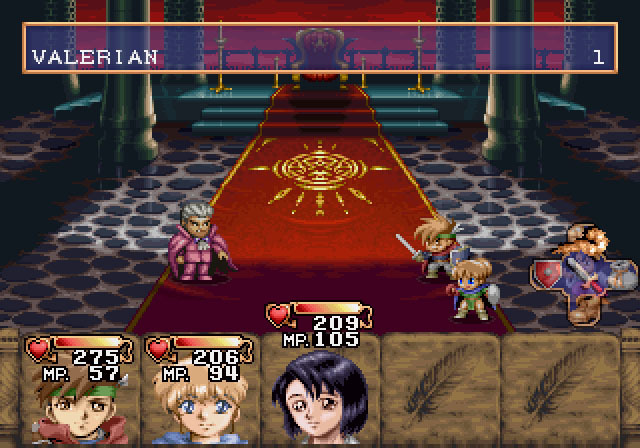 Albert Odyssey: Legend of Aldean began development for the Super Famicom as a side story to the first two games, but that version was cancelled and ported to the Sega Saturn. In Japan this game was released as Albert Odyssey Gaiden ~Legend of Eldean~, and was developed and published by Sunsoft as usual. In comes Working Designs, finally moving beyond the limited audience of the Sega CD and onto Sega’s new system. This audience would also be quite limited, and the Saturn’s short life would eventually move the company onto the juggernaut Playstation. 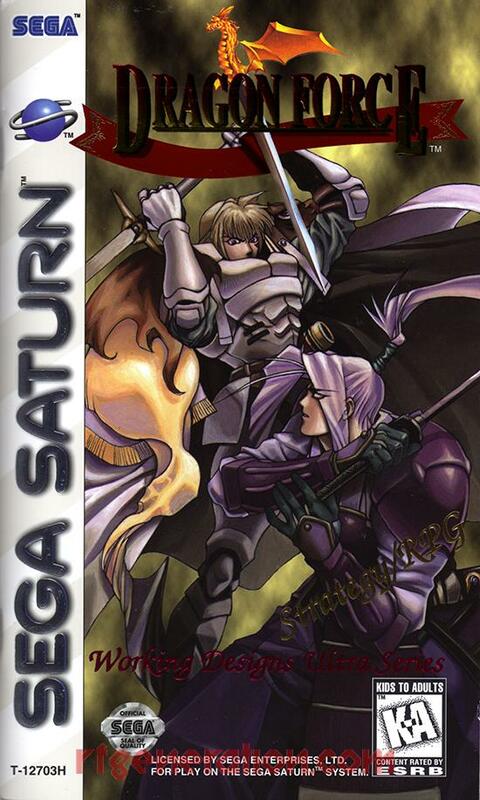 But before that happened the company managed to localize and release 6 games for the Saturn. Albert Odyssey is the first one that I am playing. First off I want to say that graphically this game is a slight upgrade from its Super Famicom roots, but it certainly feels like it would be right at home for that system. As a result of the Saturn’s strong 2D capabilities the pixel count is much higher than you would see on any Super Nintendo game. There are little bits of 3D perspective on the world map that the Saturn was able to soup up a bit, but these would have looked fine with the Mode 7 capabilities, much like Final Fantasy VI’s airship traveling. The music is all Sega Saturn though, with nice CD quality audio and high quality, crisp voice acting from time to time. There’s not much voice acting in the game, but what is there is quite enjoyable and fits the characters rather well. Not susprising since Working Designs was one of the first to utilize voice acting for their CD games. What really bugs me about this game, and this was also a complaint from reviewers when the game released, is the localization. Its not a direct translation with a few cultural phrases, superstitions, and such changed so the new audience would understand them, oh no. Some of the dialogue, especially NPC dialogue, is a poor attempt to garner laughs, chuckles, and such, but it is poorly executed and a vast departure from the original Japanese script. 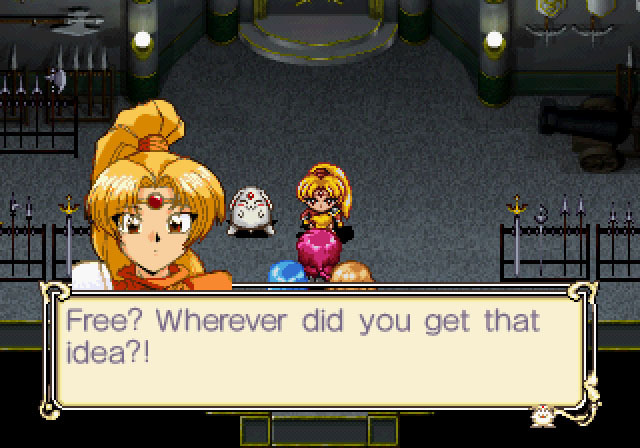 I even saw one of the main characters say “Holy Sh-nikes” to which I replied, “Holy 90s localization!” Another NPC blatantly breaks the fourth wall by saying she doesn’t remember her lines in the script. This was the furthest thing from funny I’ve seen. Everybody calling Pike, the main character, fat gets really old, really quickly. 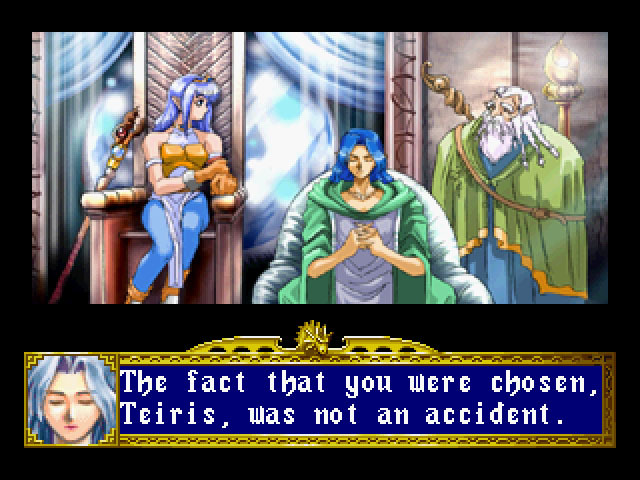 Its because of games like this that have RPG fans so adamant about the differences between translation and localization. This is an example of a localization that just went too far and Working Designs is the prime reason for this. The story is a typical save-the-world from big evil bad guys scenario at first. Later on however, there is a twist where you must go on a manhunt, again looking for a big evil bad guy because kidnapping and such. At least this is a bit different. You not only have to save the world from certain conquest and destruction not once, but twice! I wonder what would happen if you failed in taking down the first threat, would the two bastions of evil then decide to fight it out to determine who shall be the supreme evil overlord of all beings of this world? Would they enter some sort of endless Blood War using pawns of little evil underlings for various schemes and maneuvers? That would be some Baatezu vs. Tanar’ri style warfare there. One feature I do enjoy about Working Designs games of this time period is a section of the manual where they explain what changes were made to the gameplay. Some of the things they did included cut down on the encounter rate while increasing experience gains, decrease load times, fixing diagonal movement, and adding shoulder button support to change between characters in the equipment and magic menus. I really can’t imagine why a game would originally release without shoulder button support for character switches but hey, they were still kind of new in 1996, by five years. This at least gives you an idea about some of the changes, and helps you realize how some minor changes like L + R button support can shave a lot of time off of menu navigation. Overall this game is quite easy. It starts off impossible to lose but does increase in difficulty as you get stronger and add more members to the party. It never gets overbearing though, and you’ll only really grind for about 10 minutes here and there to squeeze out an extra level or get a little bit more money. The characters are quite interesting from a narrative standpoint, with Pike being one of the most boring ones. He was a child when his hometown was invaded and destroyed, so he was raised by peaceful harpies and carries a magical sword. Eka is a beautiful singer who joins Pike and the two end up getting married and living happily ever after. Leos is a charismatic priestess who becomes renowned for caring about all the people and races of the world, and going above and beyond to help them. Gryzz is a Dragonman who joins after the party saves his people from certain death, he’s young but is a bastion of honor and the party’s heaviest hitter. Amon is a metrosexual Birdman who joins because he’s hot headed and tired of the personal politics of his tribe, so he joins the group without even really knowing them too well. Kia is a young magician who joins the party for their second quest. She has the power of the teleport spell and adds a rather naive young voice to the party. The gameplay is solid, yet simple. This game is quite short, so if you’re looking for an RPG that you can sink your teeth into, play casually, and beat without much of a time investment then I would recommend this game. If you’re somebody who wants more value for your buck then I would pass on this game, as it regularly sells for over $80 nowadays. The packaging is quite solid and beautiful, with shiny lettering and a much higher quality manual than most Saturn games received, so this game has a crossover appeal between RPG fans and collectors since it looks so good on a shelf.